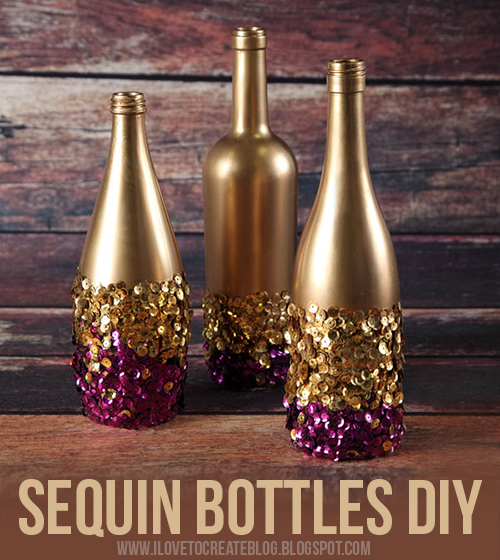 Add a little glitz and drama to your table centerpiece or décor with these pretty gold and purple sequined bottles! Making them is so easy and they'll be a talked about accent at your next party or event! And all you need to make them are minimal supplies! 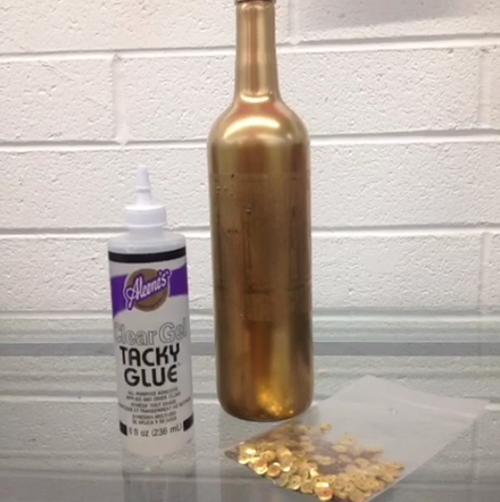 Tilt the bottle at a 45 degree angle and apply the clear gel glue. Apply an even coat of glue (you will do this in sections). Sprinkle the sequins over top, spreading them out with your finger for even coverage. 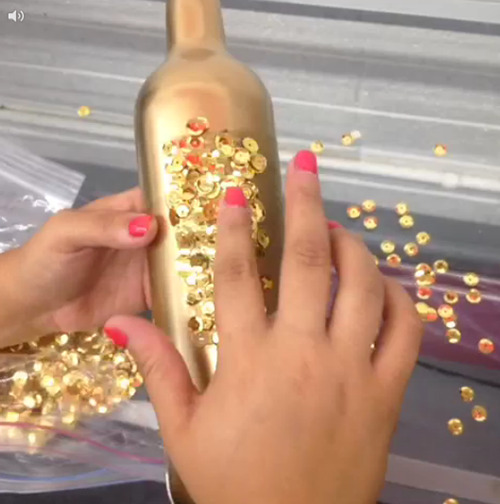 Once you have covered the entire section, lay the bottle flat with the sequins and glue face up for 5 to 10 minutes to let the glue set up. Once the glue is dry enough, move onto the next section! So pretty and easy and you make several for just few bucks! I'm all about a cheap yet chic DIY! Hi, just wondering why you used the Gel glue and not Tacky Glue. What's the difference? Thanks!